I’ve worked on a long list of possible day trips and things to do since we arrived in Torremolinos. We have plenty of options to choose from but the cost of these options is one of the most important factors in deciding which trips we take. 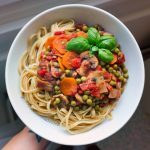 It isn’t the only determining factor as we can make exceptions, but we usually prefer to stick to more affordable options. If an activity is cheap and it gets us outside, well that’s even better! 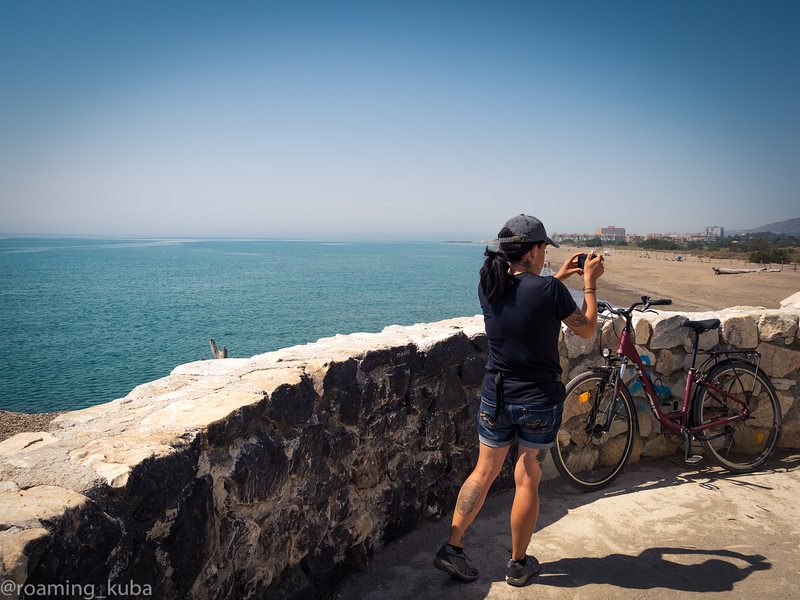 Special thanks to my husband Kuba for letting me share his photos in this post. Check out his Instagram account @roaming_kuba for more stunning photos of our travels. For only €10, we were able to rent two bikes for four hours. 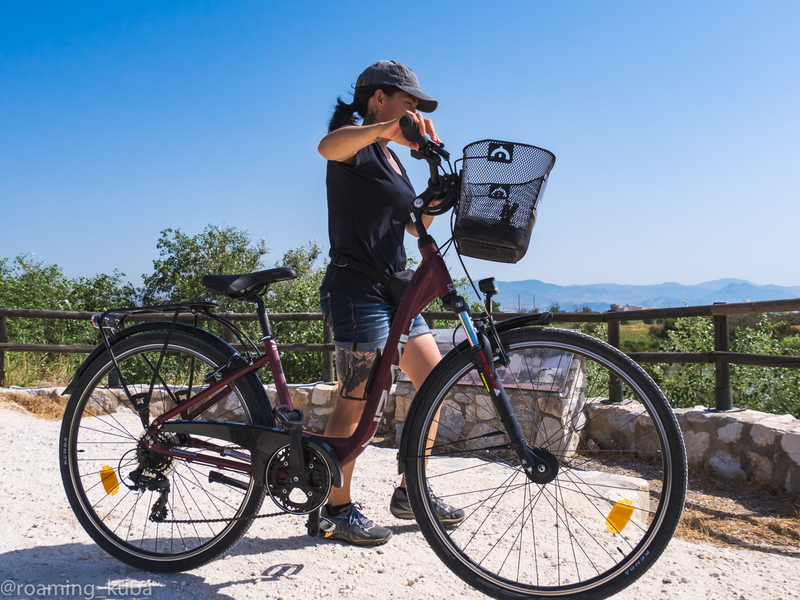 We rented our bikes from DSG Electric Rent, which based on my research, offers the cheapest prices for bike rentals in Torremolinos. It’s also conveniently located right on the beach, so you can just head straight down the beach promenade after picking up your bike. While we could have just cycled up and down the beach, we wanted to do something different away from the city. 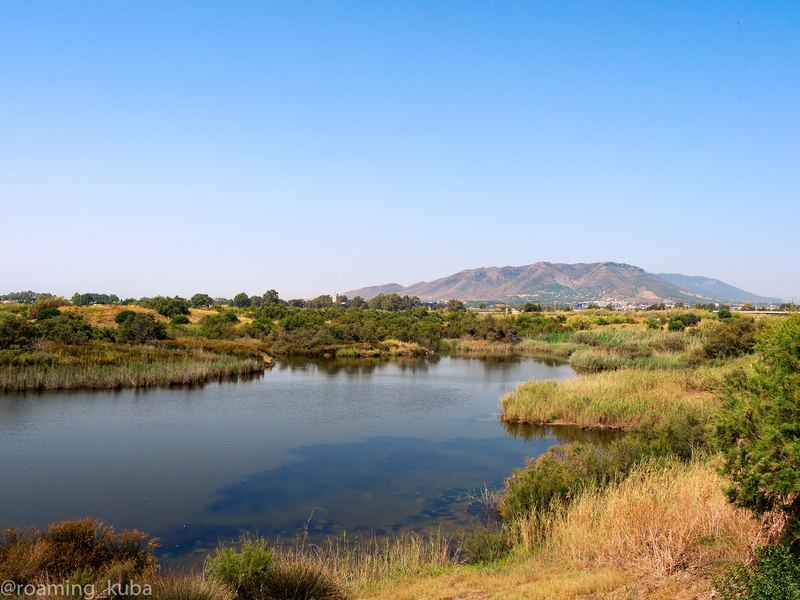 Instead, we headed to the Guadalhorce Nature Reserve, a short 25-minute bike ride away from Torremolinos. Interestingly, the lakes in the park are man-made. Excavations of gravel and sand in this area left large pits which eventually flooded. The Guadalhorce River, which runs between Málaga and Torremolinos, splits just before it flows into the Mediterranean Sea. Once used for gravel and sand excavations in the 1960s and 70s, this estuary is now an important bird breeding and migration site in this part of Spain. 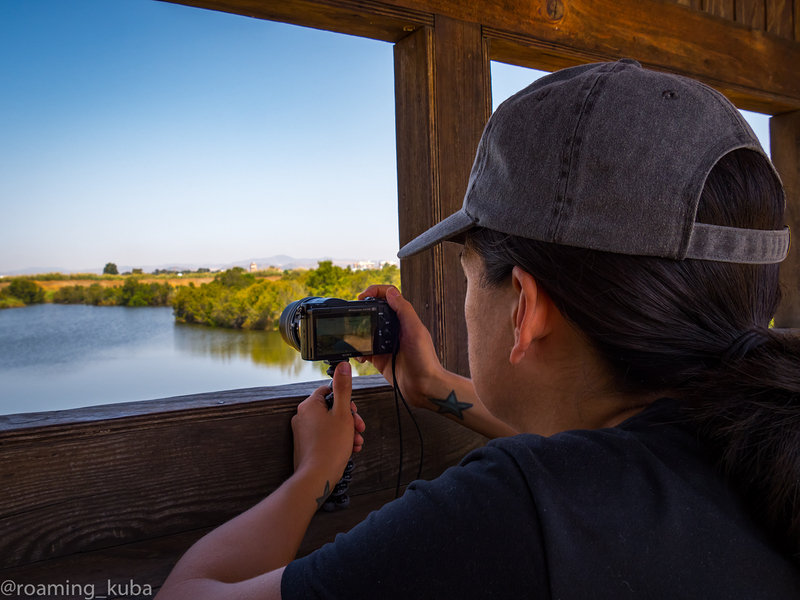 We came across several bird observation points along the network of trails weaving through the marshlands. These covered points were ideal for bird-watching and photography, and even a lunch picnic in the shade. There were a few other cyclists and hikers in the park but for the most part, we were left alone with the birds. Even though we were outside the city, we could still hear Málaga’s airport as it’s nearby. Cycling through the park was so much fun! Cycling has to be the best mode of transportation, wouldn’t you agree? Not only is it environmentally-friendly and an excellent way to stay fit, it’s also a lot easier to find a parking space. I regret that I don’t have any photographs of the birds, but I do have around two minutes of bird footage in my vlog thanks to Kuba. Check out my vlog to see the park and all the long-legged birds we saw that day.